In his State of the State address this past January, California Governor Arnold Schwarzenegger proposed $100 million to create a new Arts and Music initiative to support standards-aligned arts and music instruction in kindergarten and grades one through eight as part of the 2006-2007 state budget. On June 27, 2006 this proposal became law with $105 million in reoccurring funds for music and arts education grades K-12 and a one-time $500 million for art/music/physical education equipment, instruments, supplies and professional development. The final rules surrounding the implementation of the budget are now complete. It is very important you know about the implementation features of the budget. Your involvement is critical to appropriate implementation, and appropriate implementation is vital to potential reappropriation of the money for future years. Successful implementation could result in many years of increased funding for music and art in our schools. Since this announcement, the CMEA office and leadership have fielded a multitude of phone calls from people who would like to understand the situation more fully. I congratulate those of you who have seen the potential, and especially those who responded with letters and phone calls to your legislators. We have seen success in a way that is unprecedented nationally. The actions of tens of thousands of music supporters across the state made the difference. The money will be available to your school. Your administrators know it is coming, and will be anxious to make a plan. Your involvement is vital as the decision making process moves forward. It is important to spend this money with wisdom in a planned and balanced fashion. This opportunity must be used to make a lasting impact on music education. Simply making temporary improvements cannot be accepted. Evidence toward positive long-term change will be evaluated mid-year, and the results will determine the possibility of renewed funding. In the following paragraphs you will find information to assist you in this opportunity. 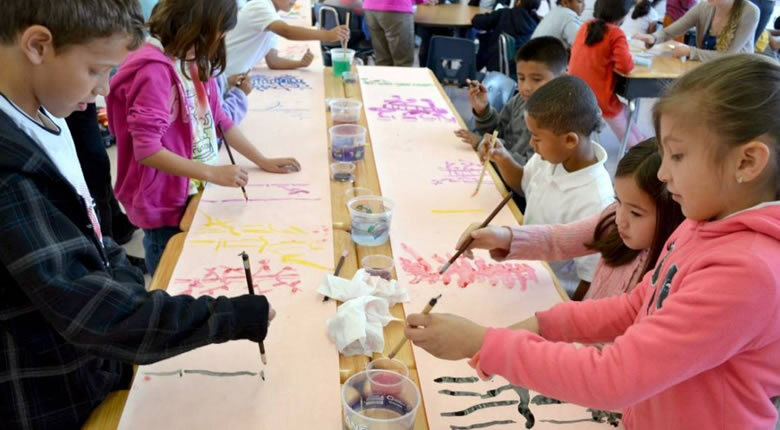 The budget priorities in the 2006-07 California State Budget provide opportunity for fundamental change in arts education. The action comes after nearly two decades of education and advocacy efforts by a wide variety of organizations, combined with the opportunity provided by a Governor willing to step up to the plate. The work of the California Alliance for Arts Education, as well as its predecessor, LACAE, have been crucial. A more recent catalyst was the release of the Music for All Foundation’s report: The Sound of Silence: The Unprecedented Decline of Music Education in California Schools. The report documented for the first time specific reductions to music programs in California schools, especially at the elementary levels. The report clarifies that cutbacks by school districts had gone too far and action was needed to reverse this trend. Due to the creativity and energy of talented music teachers, music programs have remained strong during this funding drought. Although many districts have cut arts programs in favor of cost savings or remedial assistance due to low test scores, there are still programs out there that can serve as a model for high quality music education. There are two areas of budget in the 2006-07 California budget. The first is a $105 million dollar allotment that legislators have committed to music and art as annual, ongoing funding. The second is a $500 million dollar allotment for music, art, and physical education. These allotments have significant differences, and should be understood by those involved in the funding process. Although slight changes could still take place, the essence of each bill is explained below. The $105M is considered on-going funding and is targeted for districts, charter schools and county education programs. The allocation is based upon average daily attendance. The focus of Assembly bill 1811 include: hiring of credentialed arts specialists; professional development for arts specialists, administrators, and generalist teachers; evaluation of existing arts education programs; creation of standards-based sequential art education programs to be delivered within the school day and including curriculum development and assessment; purchasing of supplies and equipment aligned with the curriculum of instruction; and that the funds supplement and not supplant existing resources for visual and performing arts. Decisions about how this money will be distributed will probably be made at the district level. The $500M is one-time money intended for use to support instruction of Physical Education and Visual and Performing Arts at school sites. At this time allocation is based upon site enrollment. Assembly bill 1802 directs use of funds to supplies and equipment to support standards-aligned Physical Education and Visual and Performing Arts instruction. Recent trailer bill legislation has added professional development to the expenditure options. Decisions about how this money will be distributed will probably be made at the district level. This money will be distributed to school districts by the California Department of Education. As the DOE works through the distribution process, the visual and performing arts community awaits the final word regarding specific rules about implementation of these two funding sources.